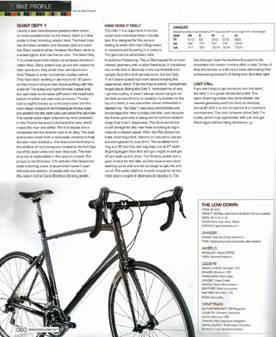 The January/February 2009 issue of ROAD turns over page 60 to the Giant Defy 1 ($1299), a stock item for Century Cycles, although it's a bit hard to get and we currently only have one (in Rocky River). In ROAD, editor Neil Browne spends some time on the technology and construction of the bike in addition to its performance. 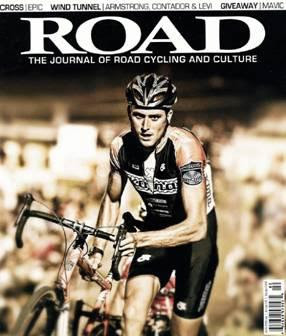 The magazine is on newsstands now.